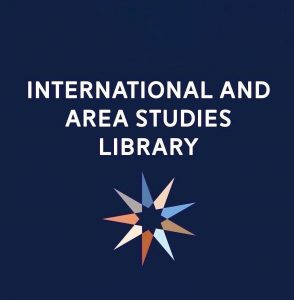 The 100-year anniversary of the end of World War I is coming up in November, so to honor the centenary, the International and Area Studies Library is sharing resources and coverage of the war throughout the semester. 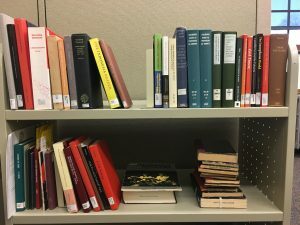 On my first official day as a graduate assistant at the International and Area Studies Library, I stared at the computer, my browser full of open tabs as I looked for more information on the German destruction of the Catholic University of Leuven Library. 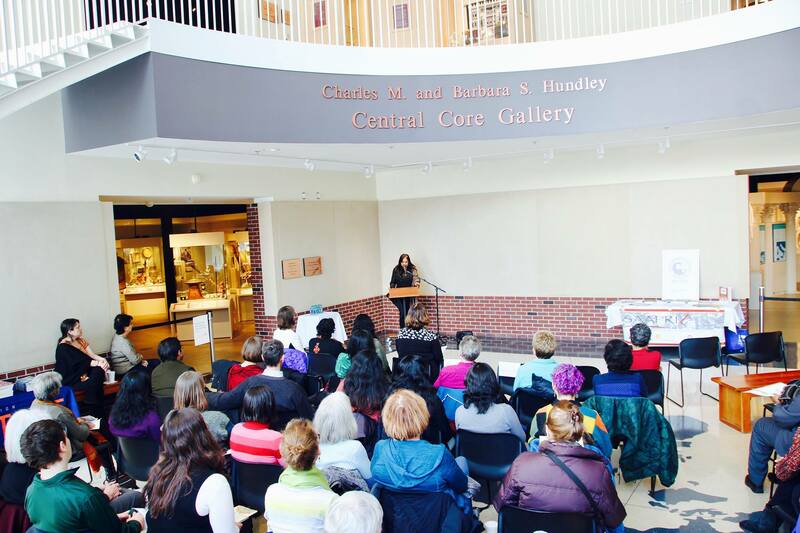 I remembered hearing a story about the August 25, 1914, fire when I went on a spring break class trip to Belgium during my freshman year at the University of Illinois at Urbana-Champaign. 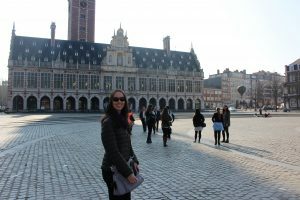 This is me in front of the KU Leuven Library. 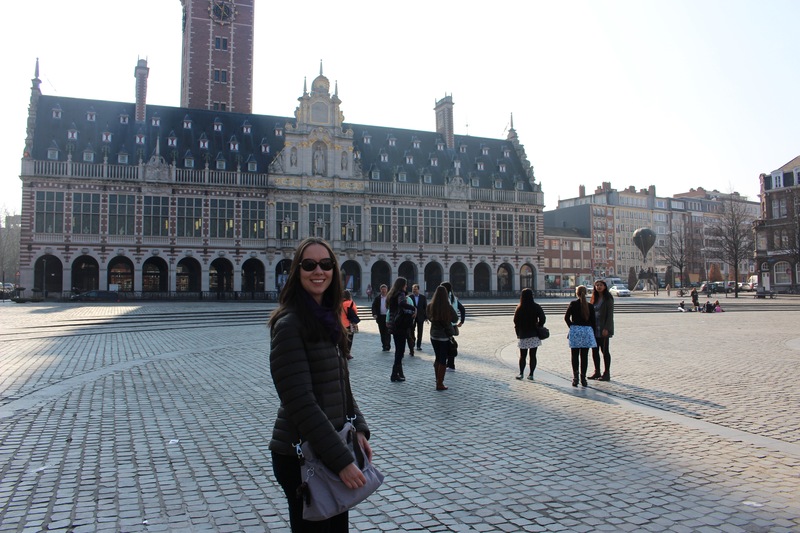 My group, consisting of freshman students in the College of Media James Scholar program; an academic advisor; her mom; and Lisa Romero, the Communications Librarian at the University of Illinois Library, took a tour of the KU Leuven campus. Our guide, whose name I don’t remember, told us about how the Germans violently burned the city of Leuven, destroying many buildings, including the KU Leuven Library. As we stopped in front of the library, he told us the rest of the story. 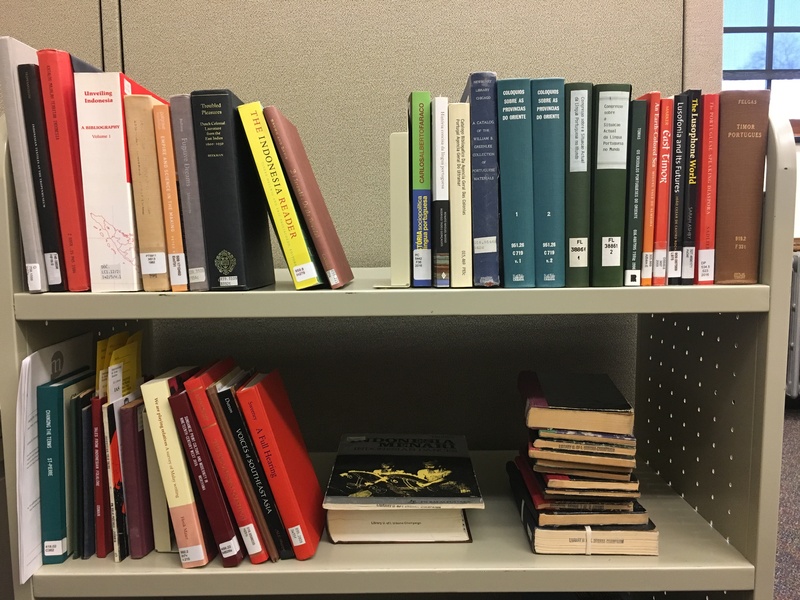 Following the destruction of the library, academics around the world mobilized to help the KU Leuven Library. A librarian at the University of Manchester collected more than 55,000 donated books in ten years. 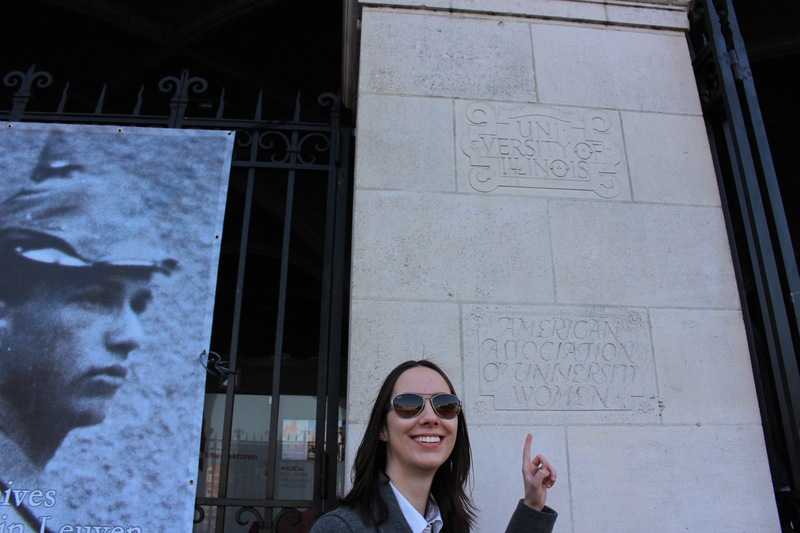 My twin sister, Fernanda Schaefer, points to the name of the University of Illinois carved on the KU Leuven Library building. 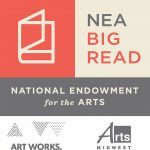 In the United States, the National Committee of the United States for the Restoration of the University of Louvain and the Commission for Relief in Belgium, which Herbert Hoover chaired, started raising money to construct a new library building. 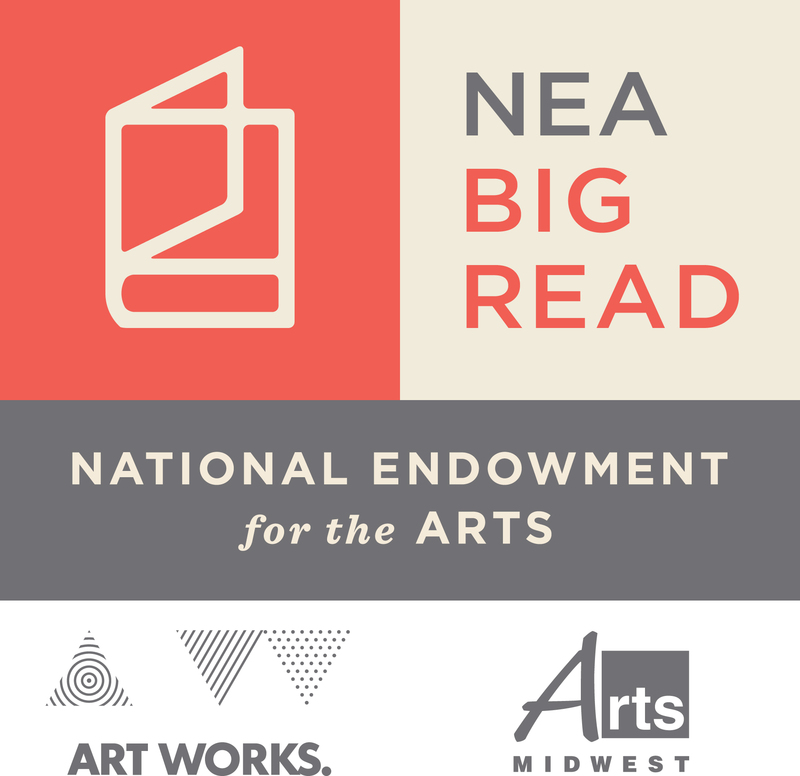 Many American academic and cultural institutions, including the University of Illinois and the New York Public Library, contributed to the fund. Because of the money raised, KU Leuven began the construction of the new building in 1921. The library was completed in 1928. 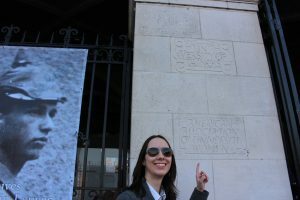 To show appreciation for the generosity of the American institutions, KU Leuven carved the names of the donors on the front of the new library building. The University of Illinois is in a prominent spot on the wall. 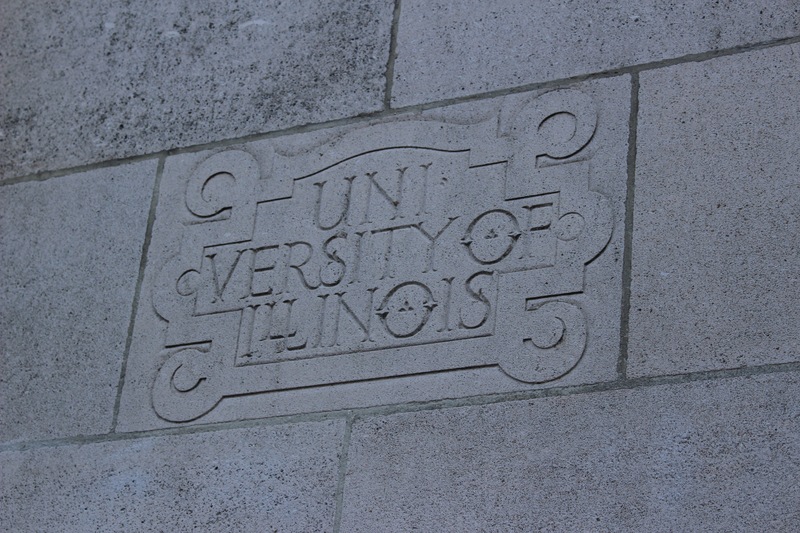 The University of Illinois is represented on the side of the KU Leuven Library building. 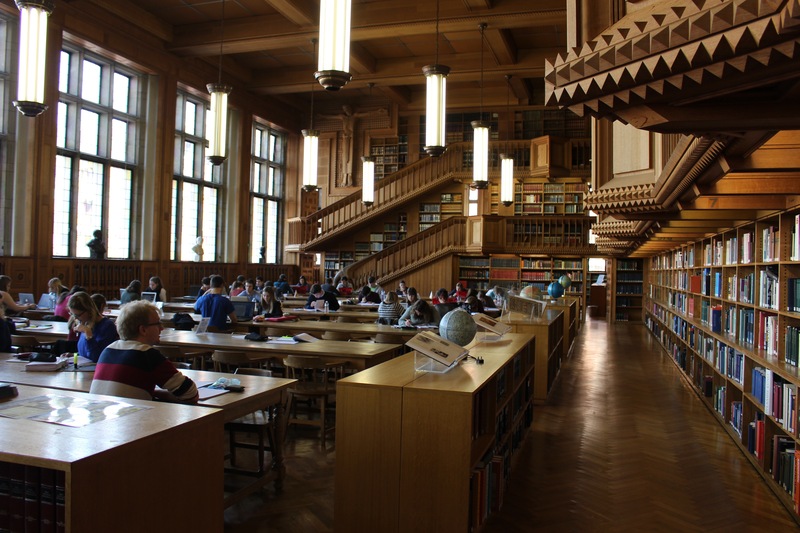 This is the reading room of the KU Leuven Library. 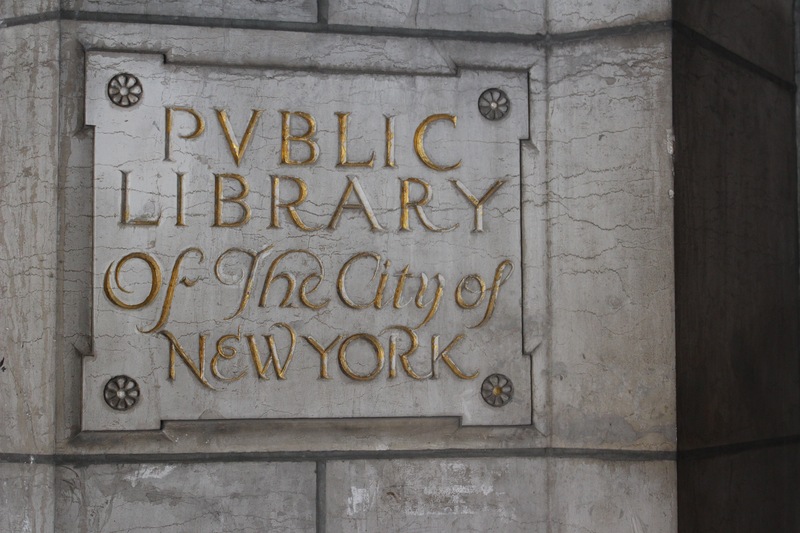 The New York Public Library also contributed to the library building fund. 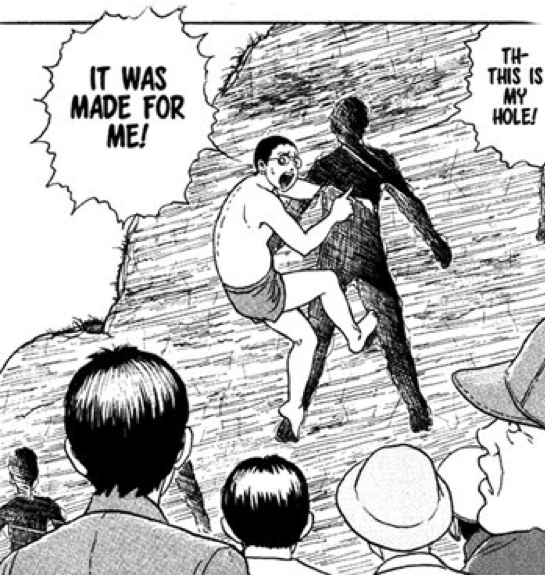 Note: Unfortunately, the KU Leuven Library was destroyed once again on May 16, 1940. After World War II, the building was reconstructed to look like the 1928 version and became fully operational only in 1951.